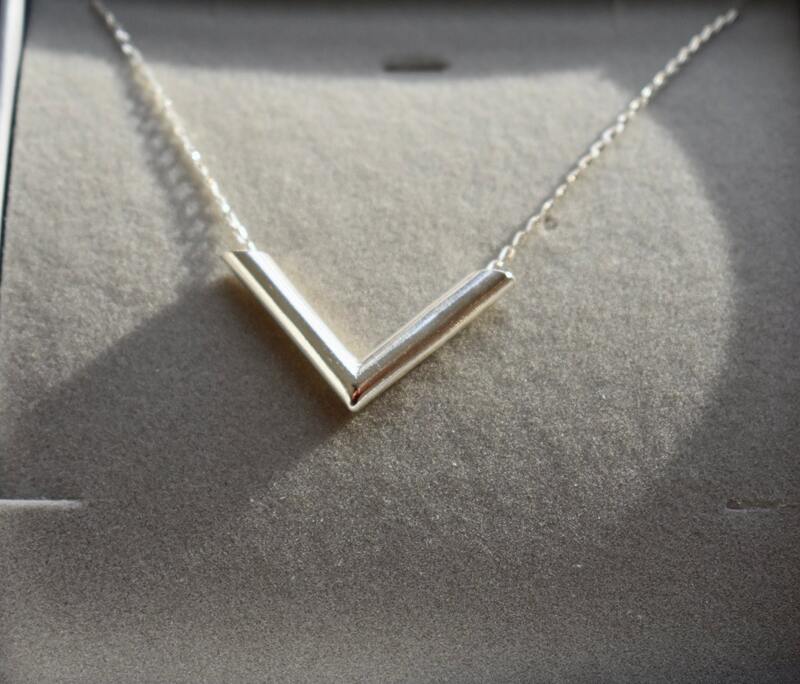 Unique Handcrafted sterling Silver Chevron pendant on fine sterling silver chain. 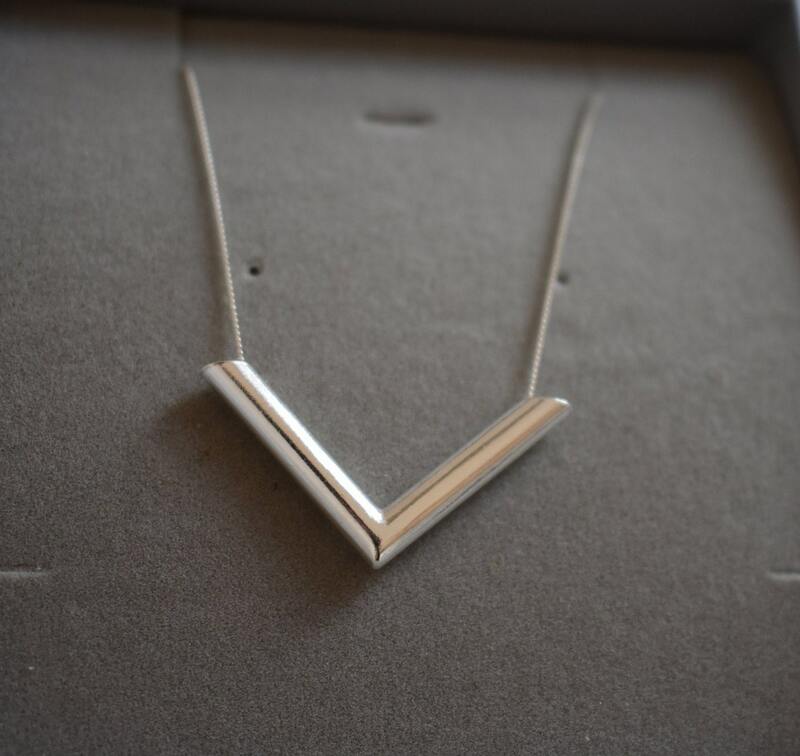 Sterling Silver Handcrafted Chevron necklace . An ancient symbol with a modern twist. 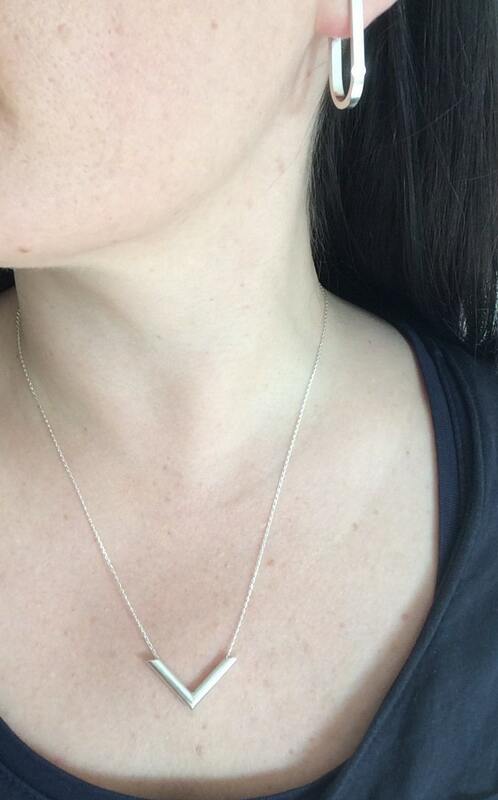 A unique and handcrafted silver chevron pendant is threaded with sterling silver fine long link chain This is a simple statement necklace and can be worn everyday ( please see chain length diagram in photos), or to layer with other pieces. Chevron is a symbol of connection/harmony. Did you know that? The chevron symbol occurs in early art designs on pottery and rock carvings. Examples can be found approximately 1800 BC in archaeological recovery of pottery designs from the palace of Knossos on Crete in the modern day country of Greece. 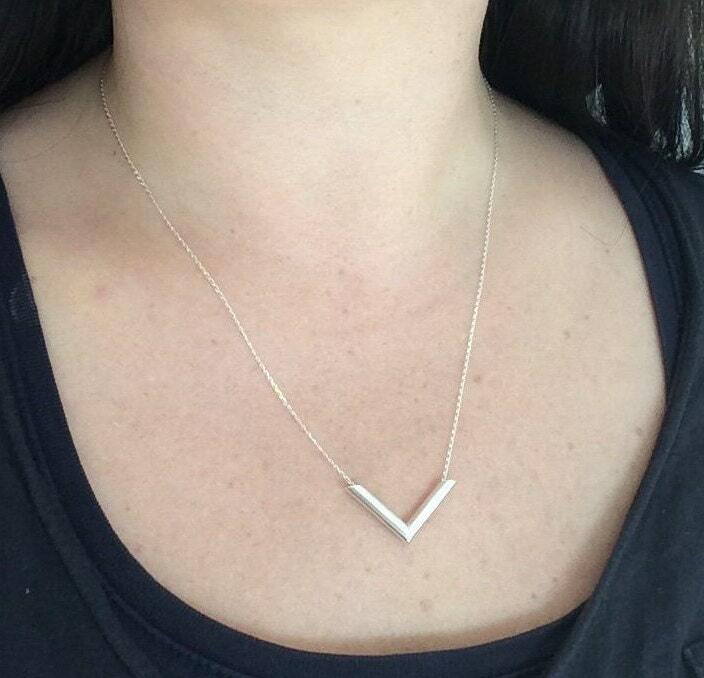 As a sacred symbol for god-force, the chevron has been in use for thousands of years. In ancient times birds were seen as emissaries of the Divine Source, by way of the Bird Goddess. Chevron comes from the Hebrew word chibur, connection. 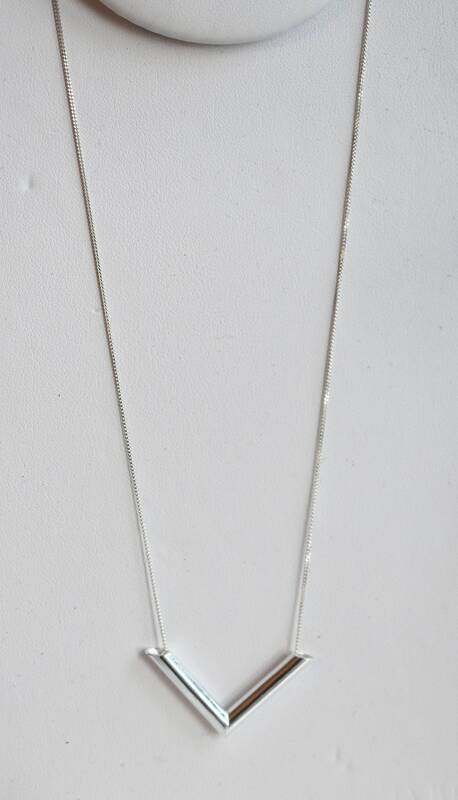 All jewellery is handmade by Catcher and Caught Jewellery Studio in Edinburgh. Shipping: Your item will be sent as a small parcel. If you live within the UK, your item will be sent via Royal Mail Second Class Signed For. For all other orders your item will be sent via Royal Mail International Tracked & Signed. General care: All jewellery should be taken off when sleeping, showering and exercising and stored in a dry, airtight bag or box when not in use. Avoid contact with chemicals such as perfume, hairspray and chlorine.